Seeing a neck pain specialist can be advantageous for patients with particularly brutal acute conditions, but is usually reserved for patients who suffer from chronic or recurring symptomatic expressions. Specialists come from all manner of healing arts and sciences, ranging from traditionally-trained physicians to complementary caregivers to alternative healers. It can be extremely confusing for patients to know who to trust and which type of treatment provider might be best for their particular needs. This essay helps patients with severe neck pain to navigate the variety of specialists that may be able to help relieve their suffering, using a diversity of targeted therapy options. Orthopedic physicians deal with the skeletal system and surrounding musculature. For spinal causes of pain, especially those involving mechanical interactions, an orthopedist may be the best doctor for the job. Orthopedists rarely provide treatment that does not involve surgery, pharmaceutical therapy or a referral to a more hands-on healer, such as a physical therapist. Neurologists are versatile care providers who can diagnose and treat a variety of neck pain conditions. When the cause of pain involves a spinal nerve root or the actual spinal cord, neurology is the most enlightened medical science to pursue. Neurologists might recommend a full range of treatment choices including surgical, pharmaceutical and lifestyle therapy modalities. Physical therapists specialize in muscular and soft tissue pain conditions. 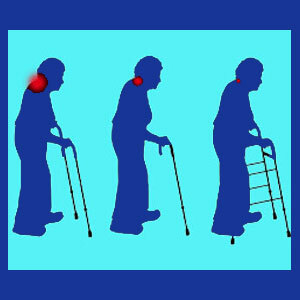 They can help treat a great range of painful neck complaints using mostly constructive and holistic methods of care. Physical therapy is unfortunately often used as a means of justifying surgery for insurance coverage. In these instances, it is a waste of time, money and hope. Rarely, rheumatologists may be considered specialists for some nonstructural sources of neck pain, such as fibromyalgia. In these instances, the treatment offered is almost universally pharmaceutical in nature. Chiropractors are certainly musculoskeletal-neurological specialists. These flexible healers help many people with all manner of neck pain concerns. Chiropractors mostly treat with manual spinal adjustments, but can also offer many other types of conservative and holistic practices, such as dietary enhancement and fitness activities. Alexander therapists concentrate on posture and might help patients who suffer from muscular problems associated with overly straight or slouched posture, as well as ergonomic concerns in the workplace. Traditional Chinese Medicine is a healing science unto itself. Practitioners usually treat chronic pain using a combined approach of constructive lifestyle, herbal and mindbody techniques. Other less often utilized care providers include massage therapists, hypnotherapists, Bowen therapists and Ayurvedic practitioners. Specialists are intimately knowledgeable of the neck anatomy and the usual causes of pain. However, this does not mean that they will properly or accurately diagnose the true source of symptoms in any given patient. Many healing arts and sciences follow incorrect theories to ascertain the actual causation of discomfort. Many also utilize illogical and even damaging treatment protocols. This makes finding the best doctor for your needs more difficult than ever before. After all, how do you really know who to trust and which doctor’s opinion will be correct? Personally, I have seen countless specialists and have heard the full gamut of possible explanations for my own pain. My advice is to get involved and take an enlightened and learned approach to finding the best doctor. Screen your possible selections, just like you would do for any other important matter in life. Once you have heard all the opinions, then you can choose which treatment selection makes the most sense for you. As a final thought, I often find that it is not always the type of doctor that can achieve the best results, but instead, it is the individual caregiver themselves. This means that good and bad doctors exist in every specialty. You will be blessed to find a good care provider in any art, regardless of whether it is traditional, complementary or alternative in nature.